You’re not dreaming. 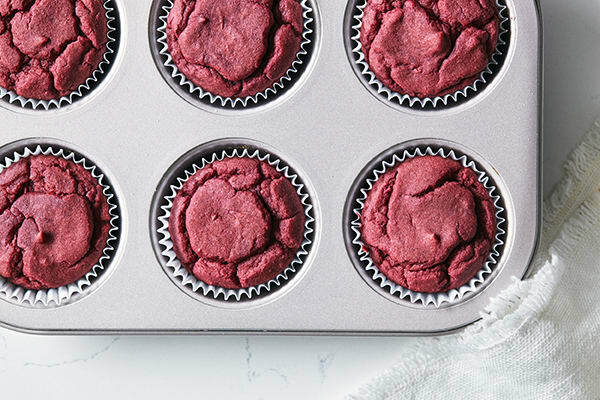 You read the name of this recipe right: Healthy Red Velvet Cupcakes. Healthy Red Velvet Cupcakes. We’ll give you a moment to let that sink in. 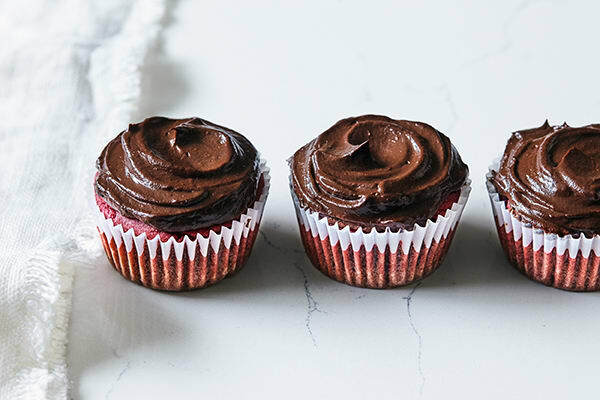 For the ingredients and the step-by-step instructions on how to make these delicious healthy red velvet cupcakes, check out the Valentine’s Day episode of FIXATE, available exclusively on Beachbody On Demand. 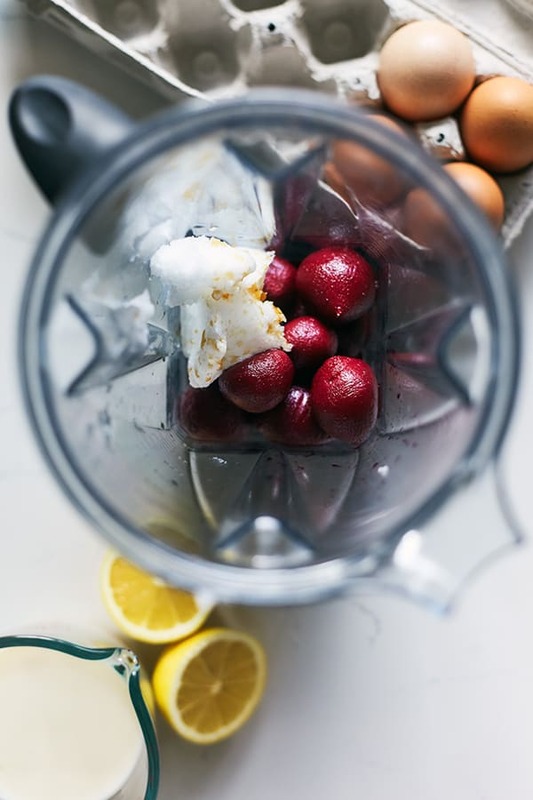 In the episode, 21 Day Fix creator Autumn Calabrese and her brother, chef Bobby Calabrese, will show you how to quickly make the batter quickly in a blender or food processor. With only 180 calories per cupcake (chocolate frosting included! ), these healthy red velvet cupcakes have less than half the calories of typical red velvet cupcakes. They’re also made with all-natural ingredients and have some clever substitutions that make them more nutritious than most desserts. For example, most red velvet cupcakes get their scarlet hue from artificial food coloring, and lots of it — but not these. Autumn and Bobby’s cupcakes get their color from beets! Now, we know you probably hate beets, but stay with us for a second because the flavor is undetectable. And, for those watching their gluten intake, these treats are gluten-free! Autumn and Bobby made these red velvet cupcakes even more enticing by topping them with a rich, chocolaty layer of frosting. How did they manage to do that and keep these babies healthy? With avocado! When whipped in a blender, the healthy fats in avocados take on the texture of a finger-licking-good frosting. 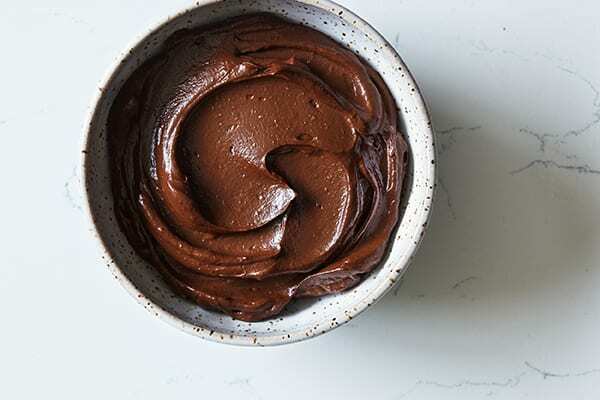 Add cocoa powder, vanilla extract, and just the right amount of coconut sugar and the result is an enticing chocolate frosting that is actually pretty good for you! Scroll down for the nutritional information including Portion Fix container equivalents! The Portion Fix containers for these healthy red velvet cupcakes are: 1 Yellow, ½ Blue, 1½ tsp. 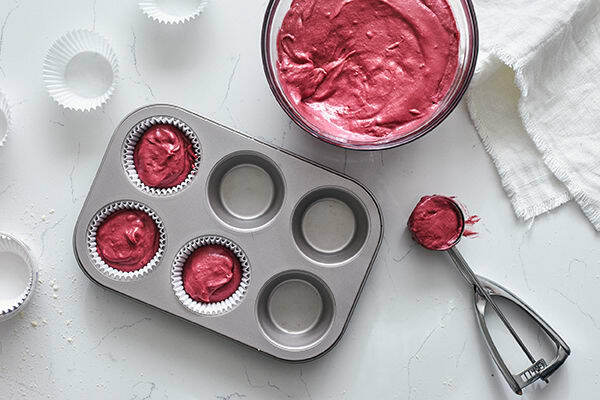 Log on or sign up for Beachbody On Demand today to find how to make these healthy Red Velvet Cupcakes and check out the rest of the FIXATE Valentine’s Day Special.